Today, the New York City Department of Correction formally ended the practice of punitive segregation for young adults ages 19 through 21 years old, resulting in the complete elimination of punitive segregation, which some call solitary confinement, for inmates ages 16 through 21 in our custody. This is an unprecedented milestone in New York State correctional history and, even more important, across the nation. To date, no other city or state has accomplished comparable punitive-segregation reforms for the 19-21 year-old age group. As Commissioner of the NYC Department of Correction, I understand this has not been easy, and something that has required us to methodically implement, test, and refine options that ensure the safety of our staff and inmates. However, I am extremely proud of what our uniform and non-uniform staff have accomplished by reforming our punitive-segregation practices and policies. When I became Commissioner in April 2014, there were almost 600 people in punitive segregation and a backlog of over 1,700 people. And violence in our jails was on the rise. On October 6, we had 124 inmates in all forms of punitive housing -- a reduction of nearly 80% over two years. We accomplished this by creating non-punitive, incentive-based alternatives to safely manage inmate behavior. And we have done all this while still reducing violence in our jails. We started our reforms even before the U.S. Attorney for the Southern District, Preet Bharara, issued a report in August 2014 that concluded that “DOC relies far too heavily on punitive segregation as a disciplinary measure” and before we negotiated the agreement in the federal lawsuit Nunez v. City of New York, which was approved by a judge in October 2015. Through a raft of initiatives, we fundamentally transformed the use of punitive segregation for all age groups. When we ended punitive segregation for adolescent inmates aged 16-17 in December 2014, and later, for 18-year-old inmates in June 2016, we created therapeutic alternatives to help them manage their behavior. For the adolescents, these comprise Second Chance Housing and Transitional Restorative Units (TRU), which feature higher staffing levels – one officer to five inmates in Second Chance and one to two or even one to one in TRU. The officers in these units receive training on youth brain development, crisis prevention and management, and trauma-informed care practices for adolescents. Inmates in these programs are afforded enhanced programming and counseling to better their life skills and job prospects and a behaviorally based incentive system enables them to earn privileges and commissary points. For young adults aged 18-21, we have also created Second Chance and TRU units, but we have added two levels of management. “Secure Housing” is designed to safely house young adults who are engaging in serious violence and assaultive behavior -- closely supervising them while providing individualized therapeutic programming for their behavioral needs. For persistently violent young adult offenders, such as those who have seriously assaulted staff or stabbed or slashed other inmates, we have created special young adult units of Enhanced Supervision Housing, where inmates spend seven structured hours daily out of cell. Similar to adolescents, they are provided a behaviorally based incentive system that enables them to earn more privileges and eventually move back into the general population. Using punitive segregation less means using it as a more targeted and meaningful tool. Through rule-making with our partners at the Board of Correction, our oversight body, we have made punitive segregation more effective and fair. Inmates no longer serve any time that was accrued during a previous incarceration. A tiered system ensures that only serious, violent infractions earn full punitive-segregation time. With few exceptions, we have capped the maximum sentence to 30 days and have limited the number of days one can spend in segregation to 60 days in any single six-month period. It’s a significant accomplishment to have done this while continuing to push a downward trend in violence throughout the Department through comprehensive reform. In the first eight months of the year, from January to August, the most serious assaults on staff have dropped 40% compared to the same period last year. Overall assaults on staff dropped 17% in that period. Even one assault on our staff is one too many, so we have a lot of work to do, but the trend is moving in the right direction. These reforms also increase inmate safety. Uses of force by officers on inmates that result in serious injury dropped by 40% in the first eight months of the year, largely because of our de-escalation training. The bottom line is that, contrary to the assertions of some, you don’t need overwhelming numbers of inmates in punitive segregation to make jails safer. Heavy use of segregation does not prevent violence or deter it, particularly in the younger age groups. In fact, it may make matters worse. The latest research on brain development shows that punitive segregation is inappropriate for individuals aged 21 and under. In New York, we are proud to have made history by ending punitive segregation for our youngest offenders and curtailing its overuse for all others – all while providing safer alternatives that support both staff and inmates. Joseph Ponte is New York City Correction Commissioner. On Twitter @CorrectionNYC. Earlier this month, I saw Mariposa & the Saint: From Solitary Confinement, A Play Through Letters. Actress and activist Julia Steele Allen plays Sara Foneseca, or Mariposa, as she is referred to in the play, and uses Mariposa’s own words to express her experiences in the Security Housing Unit (SHU) at a women’s prison in California. For the past ten years the two women have been corresponding through letters; the play is a collaboration that grew from this communication. In one of the most disturbing parts of the play, Mariposa shares in a letter to Allen that a woman in the prison has committed suicide. Mariposa seems frantic and in shock at the calm response from the prison personnel. She exclaims there was no sense of urgency. It seems, she says, as if they were saying, “nothing to see here folks, just your average, run of the mill, scheduled suicide.” Mariposa tries to keep her spirits up although it is evident that she is slowly fading. At one point in the play she explains she refused to leave her cell -- even to shower -- for eight months. The performance was followed by a workshop discussion on the issue of solitary confinement during which Regina, who was incarcerated in Albion Correctional Facility near Buffalo, New York, shared horror stories of her own experiences in “the box.” She noted that many of her peers were not even allowed to send or receive letters, practices considered privilege and meted out by the guards, despite being one of the only forms of human communication they had left. There are 2.5 million people incarcerated today in the United States, and while it’s rare for the experiences of these people to be given a public viewing such as Mariposa provides, public demands to reform prison conditions and to end mass incarceration are growing. As are calls to end the torturous practice of solitary confinement. Allen has brought “Mariposa & the Saint” on a national tour of eight states, including New York, which all have active campaigns and pending legislation to end or reform the conditions of solitary confinement. Humane Alternatives to Long Term (HALT) Solitary Confinement Act (A. 4401/S. 2659) is a piece of legislation that has yet to pass through the New York State Legislature, despite being introduced for years. This bill would create substantive alternatives to solitary confinement, place strict limitations on the use and permitted durations of confinement, and improve due process protections for people facing disciplinary infractions. 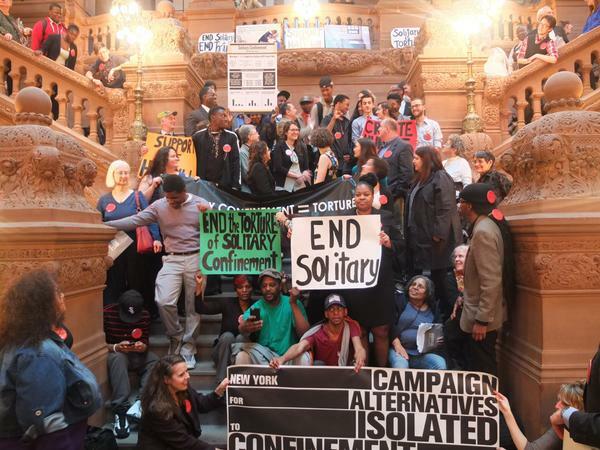 The Campaign for Alternatives to Isolated Confinement in New York (CAIC), a community group consisting of advocates, legal service providers, formerly incarcerated community members, and family members, has supported the HALT Solitary Confinement Act since 2014. Last month, “Mariposa & the Saint” was performed for members of the state Legislature, hosted by the Women of Color Sub-Committee of the Black, Puerto Rican, Hispanic, & Asian Legislative caucus including Assemblymembers Maritza Davila and Latoya Joyner, along with Assemblymember Jeffrion L. Aubry, and state Senator Bill Perkins. Additionally, in early May, CAIC organized a lobby day which resulted in HALT now boasting more than 60 sponsors in the Assembly. Despite this support, the bill did not pass this year and remained in the Assembly’s Crime Victims, Crime and Correction committee until the end of the session. What was left out of the final Albany deals earlier this month was prison reform for thousands in solitary confinement, which has been denounced by Pope Francis, the United Nations Special Rapporteur, and President Obama. The play was performed on Friday, June 10 at The New Settlement Community Campus in the Bronx, located in Assembly Speaker Carl Heastie’s home district in hopes of adding pressure to the Speaker so that he would use his authority to bring HALT to a vote before the session ended. 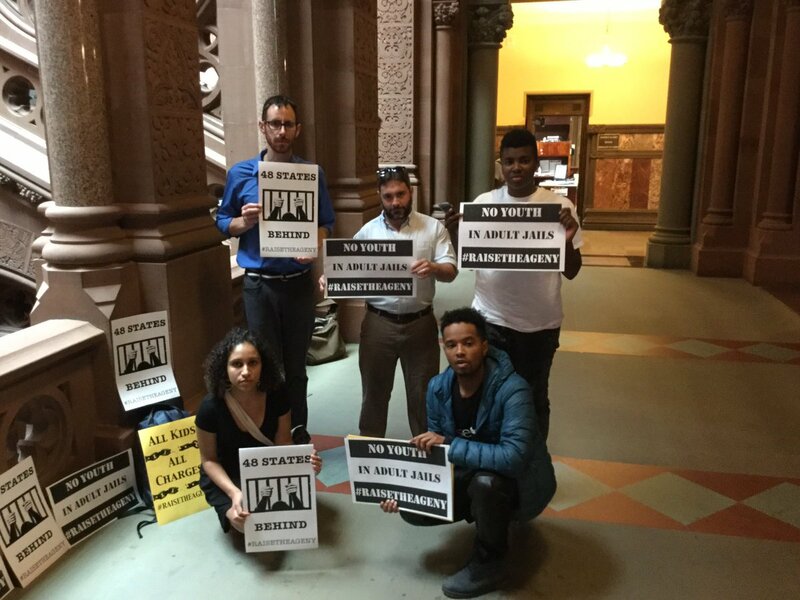 New York State legislators did not act to reform the torture happening in their state prisons. Governor Cuomo, state legislators, and all New Yorkers must see and say that solitary is torture. It is time that we all demand reforms to end, or at least significantly limit, the use of solitary here in New York. Jennie Encalada is a Brooklyn-based social worker and activist. On Twitter: @jenjeno07. Mariposa & the Saint completed it's 2015-2016 national tour this June, but has further plans. Learn more about the Campaign for Alternatives to Isolated Confinement (CAIC). The UN found that use of solitary confinement of over 15 days amounts to torture. Nearly a year later New York state has no limit on how long an inmate can be held in solitary--some have served decades. With increasing focus on the conditions in prisons, New York is struggling to address flaws in its prison system that has led to deaths and that advocates say does irreversible mental and physical damage to inmates. 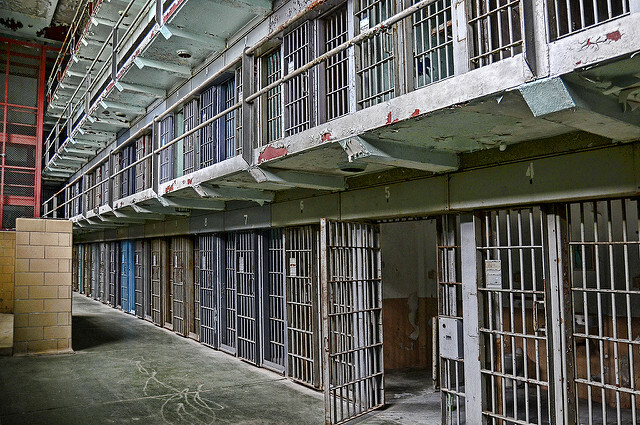 Up to 5,000 inmates are held in solitary confinement at one time in New York. Inmates in solitary spend 23 hours a day in an empty room with no outside contact. The brutal conditions faced by those subjected to this form of punishment, especially at New York City's most notorious jail, Rikers Island, have been splashed across front pages, the subject of major lawsuits and federal investigations, and the topic of debate throughout all levels of government. Rikers has banned the use of solitary for inmates under 18 years of age and a plan is in the works to disallow the placement of anyone 21 and younger, moves made following a scathing federal report from the office of US Attorney Preet Bharara. Yet, bills that would limit the length of solitary confinement and who can be held in solitary have sat stagnant in the state legislature. Activists hope to change that with a series of protests held on the 23rd of each month at locations across New York City. The rallies are held on the 23rd to draw focus to the fact that prisoners are held in solitary for 23 hours a day. So far The Campaign for Alternatives to Isolated Confinement have held two rallies. Their second rally, held in Rose Hill Park in the Bronx, aimed to relay the experience of Nicholas Zimmerman, an inmate in Attica who has been held in solitary confinement for the last ten of his 12 years in prison. Zimmerman told advocates: "Since being in The SHU [Special Housing Unit], I have had a stroke, I have been diagnosed with depression and anxiety, and I have tried to commit suicide twice, and very often get these thoughts, but I fight really hard to keep my mind!" Advocates have focused on relaying the human experience of being in solitary confinement as a way of getting the public to understand what it does to inmates and their families. Megan Crowe-Rothstein of The Campaign for Alternatives to Isolated Confinement said that the rallies have been about keeping the issue alive in the grassroots by creating more understanding. "People really become interested when they hear what [solitary confinement] does to people and their families--especially when it comes from people who have suffered and are brave enough to share their stories," said Crowe-Rothstein. Advocates charge that the lack of interaction and sensory deprivation created in solitary can lead to severe physical and mental conditions. Their argument is bolstered by the now-famous story of Kalief Browder. 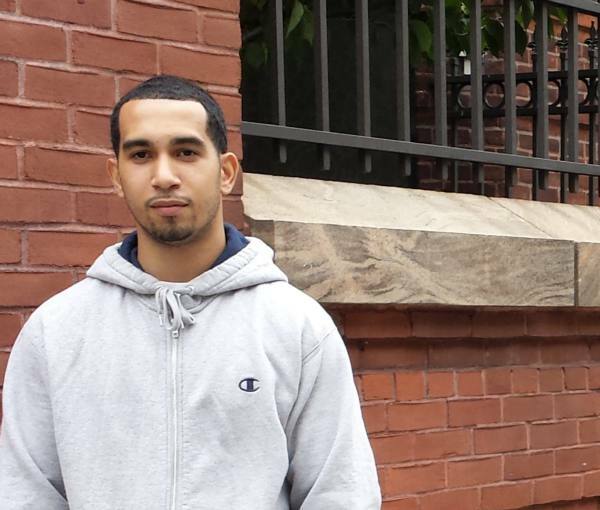 Browder was arrested at 16 for allegedly stealing a backpack and served three years at Rikers after he couldn't post bail, eventually being released without ever being charged. Browder spent nearly two years in solitary while at Rikers and suffered beatings by inmates and guards that were captured on video. Upon release, Browder struggled to put his life back together and eventually killed himself on June 8 of this year. 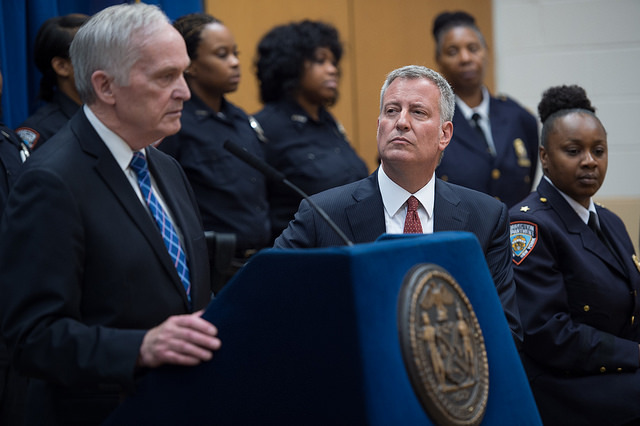 Browder's death led to statements from major politicians, including Mayor Bill de Blasio, and a major invigoration of grassroots attention on both the bail and confinement aspects of the system. "There is no reason he should have gone through this ordeal, and his tragic death is a reminder that we must continue to work each day to provide the mental health services so many New Yorkers need," de Blasio said in a statement just after Browder's death. "On behalf of all New Yorkers, we send our condolences to the Browder family during this difficult time." Bills that would restrict the use of solitary have been stalled in Albany for years. One piece of pending legislation, called the Humane Alternatives to Long-Term Solitary Confinement Act (HALT), would set major restrictions on how the punishment can be used. The bill stipulates that no prisoner could be in solitary for more than a 15-day stretch, or for 20 days in a 60-day period. Prisoners who would be placed in solitary for more than 15 days would instead have to be sent to a separate residential rehabilitation unit with therapy and out-of-cell programming. The bill would ban the use of solitary confinement on prisoners under the age of 22 or above the age of 55, prisoners who are pregnant, who have a mental or physical disability or who are "perceived" to be LGBTQ. This year the bill was referred to the Senate and Assembly corrections committees in January and never voted to the floor. In 2014, the same fate, as the bill's Assembly sponsor, Assemblymember Jeff Aubry, said the gubernatorial election would stymie any action. A number of legislators concerned with criminal justice issues told Gotham Gazette that it was disheartening that the leadership of their houses did not take up the measures related to solitary given the public's focus on criminal justice issues stoked by police killings of unarmed civilians and deaths at Rikers Island. Legislators asked to remain anonymous due to concerns about angering leadership. Advocates plan to continue their rallies into the next legislative session, giving themselves a head start on lobbying efforts when legislators return to Albany in January. The next rally will take place Wednesday, September 23 - the location has yet to be announced. One of the roadblocks to reforming the state's use of solitary is the city's corrections officers union. Norman Seabrook, president of the 9,000-member union, lobbied hard to keep solitary confinement policy as it was in the city. He threatened to sue the Board of Corrections for every officer that was injured by an inmate after the board banned solitary confinement for those under 21. The city's corrections board is expected to discuss further reforming solitary at upcoming meetings but no action is imminent. "Rikers gets so much attention for good reason," said Crowe-Rothstein, "but there are people in solitary across the state who are suffering and the state must act to change that." Note: this article has been corrected to reflect the fact that 16- and 17-year-olds are now banned from being placed in solitary confinement on Rikers Island and that banning those 21-and-under is in the works, but not final, as originally stated.